occasionally on this site, i try to provide some background on phrases and cliches in social science and global health (such as here and here). it is a small public service to help folks not be sicilians yelling “inconceivable!” (or from starting land wars in asia, if at all possible). today, the john henry effect. the john henry effect is a reactive effect we could find in the comparison group of an experiment (or an any non-intervention group) when the comparison group is aware it is not receiving treatment. with this knowledge, they might react by working harder to compensate for not having the intervention. the effect, apparently, also includes the reaction amongst the ‘non-treated’ of becoming discouraged at not having received the intervention and working less hard, though i am less familiar with this usage. in any case, we could just call them ‘reactive effects’ and given all the other cultural roles and meanings of john henry, i wonder if we just should. in any case, the real point of this post is about john henry the man/myth. from a recent conversation with a colleague, it was clear that, for him/her, the john henry effect could have just as easily been named for the researcher that discovered the effect or the site at which it was first noted (as in the hawthorne experiments). which is fair enough. john henry is an element of americana folklore (though there may well be counterpart or antecedent stories in different cultures and i would be delighted to hear about them), so why should anyone else be clued in? however, i had to sing a song about john henry in 5th grade choir performance about american tall tales (quite possibly the last time i was permitted to sing on stage), so i am fully qualified to provide some background on john henry. it seems (mostly according to here and here) that john henry was likely a real man — definitely black, possibly born a slave. he worked for the railroads following the civil war (in the late 1860s and 1870s). he was well-suited to this work, as a “steel driving man”, as he was, from existing accounts, both quite tall and muscular. most accounts say he worked for the C&O Railroad (chesapeake & ohio) and many accounts put his work as drilling through the big bend mountain in west virgina, where it was decided it was more expedient to make a tunnel rather than go around the mountain (alternatively, he worked on the nearby lewis tunnel under similar circumstances). john henry became the subject of ballads and work/hammer songs (e.g. and here and here) and an important touchstone for the american labor movements and civil rights movements. he is a lot more than a possible effect in social experiments! as a closing thought, when we discuss john henry effects, we mostly think about his working hard in compensation for not having the treatment (a machine) — or even proving that the treatment was unnecessary because of pride in the status quo. we think less about the fact that he died from it. given this part of the story, we may want to consider, should we find john henry effects, not just that it might mess up our effect estimation — but that harms could be coming to groups not receiving interventions if they are over-compensating in this way (more akin to how john henryism and soujourner truthism are used in sociology and health psychology (e.g. here and here) to describe the african-american experience and weathering). this post was originally published at innovations for poverty action. it represents an effort to follow-through on some themes i have raised before and hope to continue to raise. most development interventions are carried out and delivered by local research staff and residents. such implementation is rarely a straightforward ‘technical’ operation but, rather, there is social and political nuance in translating an idea into practice. on-the-ground partners therefore often have important insights about research engagement and implementation processes. but researchers often do not solicit such feedback as a requisite part of their work. moreover, even when such questions are asked, the results are often not synthesized into the lessons learnt from the project, either in terms of setting the future research agenda or in terms of tweaking on-going programs and interventions. the Preserving ACTs (PACT) impact evaluation used text messages (via this code, built by @eokyere and @slawarokicki) to encourage the completion of the most effective anti-malarial treatment (artemisinin-based combination therapies, or ACTs (e.g.)) in and around Tamale, Ghana. 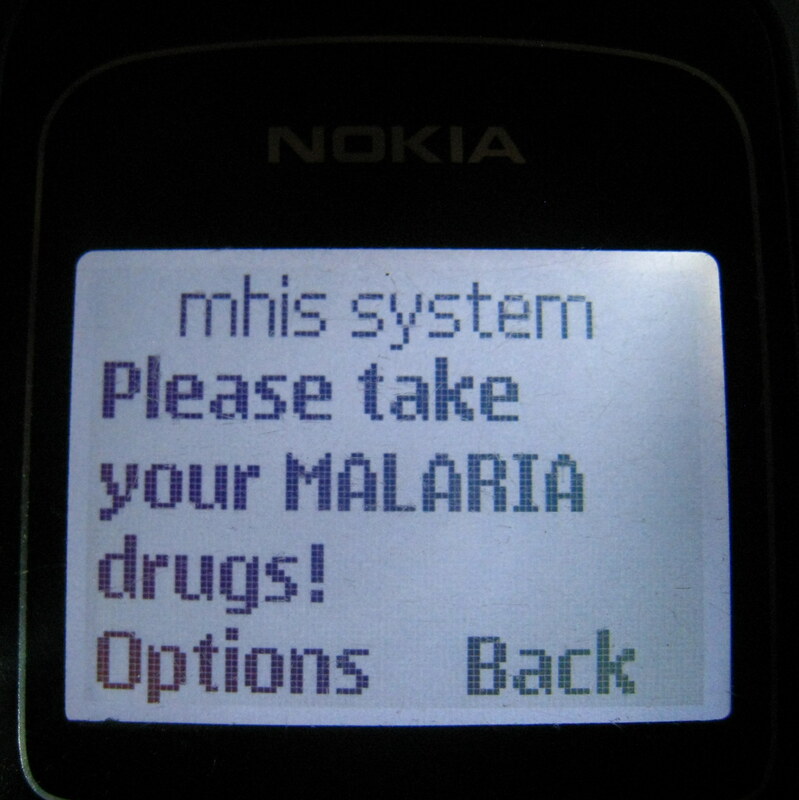 as the study drew to a close, we wanted to thank the malaria-drug vendors for implementing the text-message intervention under investigation and for hosting the study’s surveyors. in addition, we wanted to solicit their feedback about the project and research process. our goals were to better understand their experience working with the research team and the study process, of the intervention process, and whether, how, and with what changes they thought the intervention should be scaled following the study. 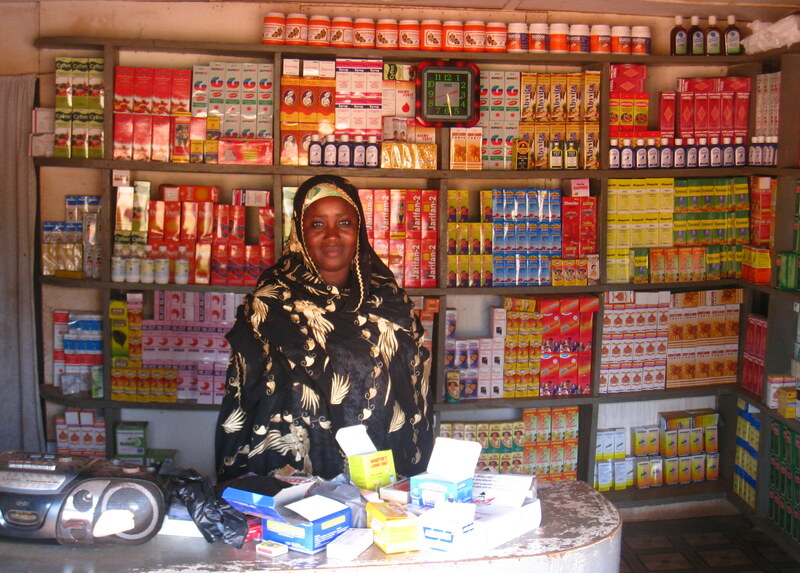 in mid- to late- 2011, one of our field managers went back to all 73 vendors – hospitals, clinics, pharmacists, and licensed chemical shops, both public and private – that had hosted our study, to thank them and to solicit their feedback on the study process and PACT intervention. 65 vendors were available and willing to be interviewed. these follow-ups took place in the third and fourth week of October 2011 and provide a unique set of data for considering the implementation of this and future studies. they also shed some light on the program that provided the context and basis for this operational research study – the Affordable Medicines Facility – malaria (AMFm) — discussed more at the end of this post. as described in the paper, drug vendors played an important role in the study, which spanned much of the rainy season in northern Ghana as well as the Muslim fasting period of Ramadan, as mentioned in some of the follow-up interviews. first, vendors were in charge of distributing the flyers to patients acquiring a malaria treatment. from this flyer, the patient would know to call or ‘flash’ (ring once for no charge) into our ‘mobile health information system,’ from which they were randomized to receive reminder text messages. second, vendors provided an IPA surveyor a place to sit and talk to patients about their anti-malarial treatment and, if eligible, to recruit them into the study. Sometimes this meant giving them a chair in a hospital waiting room; other times, it meant the IPA team providing a chair for a surveyor to sit in the limited space offered by a one-man or one-woman drug shop. given the study design, the distribution of flyers and the text messages were kept conceptually and, as feasible, spatially, separate from the IPA surveyor and his or her questions about the patient’s malaria medication. we included a question about this in the follow-up: the full range of vendor responses can be viewed here [link to the spreadsheet], as well as an overview of how responses were coded. * in short, the codes used to categorize responses emerged from the responses themselves in light of themes or ideas repeated across several answers. though we did not explicitly ask vendors if PACT addressed a problem they thought was important, three-quarters volunteered that non-completion of ACTs was a problem they faced and many welcomed the support of a program like PACT to try to encourage people to finish their medication and to strengthen whatever advice they already gave to their patients – for example, saying that the text messages “made patients to take my advice more seriously” and that they “increase our credibility and patients to stick to these advice we give as a health service provider”. 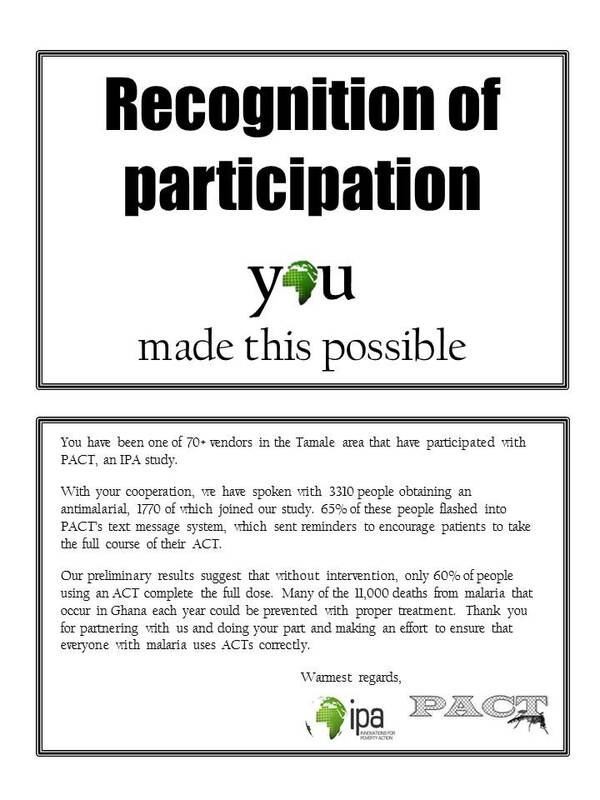 prior to agreeing to host PACT, some vendors were concerned that the flyer and survey process would interrupt the patient flow, affect their business, or lead to an over-focus on malaria patients at the expense of other clients. after the study, about 40% felt their sales stayed normal during the study while about 20% felt their sales had increased, which they attributed to PACT. Nobody reported a disruption in their sales. about 40% did note that the questionnaires administered by surveyors were long and were uncomfortable for patients who were sick and tired – hence, being at a drug vendor in the first place. about 20% also felt their status or credibility increased when they were offering the program, such as “business was normal but on social grounds, I earned respect from individuals that were sent SMS… It was a remarkable experience of the concern they achieved from your end. So, I gained more credibility to my advantage.” some of these benefits may, of course, reflect a novelty effect and would not offer any one vendor an advantage if the program scaled-up to all vendors. there were also a few unexpected benefits of the program likely not to be replicated in a scaled-up version of the program — for example, one vendor reported that “your surveyor also helped me track a thief that came to steal from me”! several vendors highlighted that it’s not always easy for them when a study like this – which facilitates their providing an addition service to patients and clients — ends, noting, for example, that “some patients still ask me if they will get the SMS” and that “now I have to explain to my clients that I cannot send SMS to remind them now, which is sort of sad”. most vendors (97%) explicitly said that it would be good the PACT program – or something like it – could be extended beyond Tamale and the time period of the study but also to other medications. for example, one noted “it should be scaled up so that at least I know my family that does not reside here in Tamale would also benefit from this great experience and education” while another said “the program should be nationwide because I know this attitude” – “the bad attitude of not completing the dosage” – “is widespread” and another similarly stated “the issue of people not completing their dosage is nationwide, so the program must be nationwide”. vendors also had a variety of suggestions on how enrollment into the text messaging system could be encouraged. One set of suggestions including removing any costs to patients, such as making the enrollment line toll-free as a way of encouraging more patients to enroll. to clarify what happened in practice, if patients texted into the program, their phone balance was deducted the cost of a text message. for people to ‘flash’ (dial and allow one ring) into the system, it did not cost them any money but phones (rather than our messaging system) required a positive balance to make this call. more generally, 37 vendors (60%) suggested ways of increasing enrollment into the text messaging program, including the vendor or PACT team doing the actual enrollment as well as providing more information to patients about the program and why it was important. for example, one noted “if people are educated well, they will charge their phones and enroll later.” given the goal of the study — to see whether and how many people would enroll with a limited amount of encouragement and input — vendors provided limited (and surveyors provided no) information to the patient along with the flyer. in retrospect, however, some vendors saw this as a missed opportunity to educate patients about an important problem. fourteen of the vendors raised concern that the text messages excluded illiterate patients – some suggested using voice calls as well as TV and radio to better educate about the importance of completing an ACT once it is started. distinctions with AMFm (and implied suggestions for future AMFm-like programs). 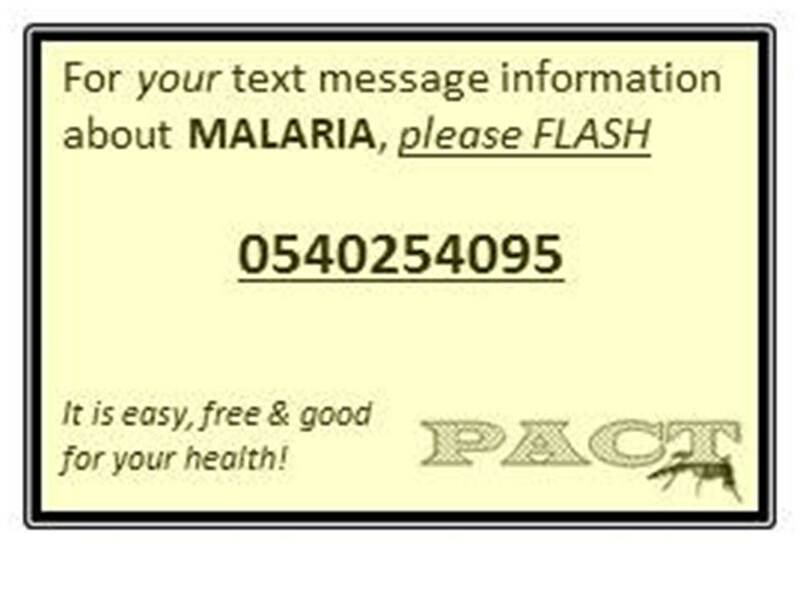 the Affordable Medicines Facility – malaria (AMFm) provided the context for the PACT study, although the text messaging program was meant to be seen as independent of the ‘green leaf’ efforts explicit to AMFm marketing. as such, we asked questions of vendors to assess whether they saw the programs as distinct. In so doing, they ended up commenting on differences in the program in a way that may shed light on future AMFm-like efforts. for example, “programs for the ‘green leaf’ have more TV and radio coverage than your PACT program, but then you made more impact of encouraging people to take their drugs. The other programs only encourage buying and awareness” or that with AMFm, “people do not get education on usage or encouragement to complete dosage”. also, it is worth noting that elements of PACT seemed to alter the way patients viewed ACTs as well as the perceptions and stocking decisions of the vendors themselves. overall, 65% of vendors reported such changes. as part of AMFm, vendors should have received trainings provided by various government and professional bodies, as well as the mass media “green leaf” advertisements — but this seems to have not always been the case, at least by the time the PACT study was carried out. overall, the data presented above and in the spreadsheet (available below) suggest there is much that can be learned from soliciting feedback from program implementers, which can be taken into account in designing future studies and interventions. this type of engagement can ensure that humanity and humility remain part of the implementation and learning process. you can download the spreadsheet with more information and responses here (excel format). *where a vendor directly identified themselves or their workplace in their response, we have slightly altered the response, using italics in place of the missing word or phrase. **important thanks go to Jeff Mosenkis, Corrina Moucheraud, Elianne Oei, John Quattrochi, and the late Elif Yavuz for encouragement in writing-up and thinking-through these results. the data and photographs above were collected by Usama Salifu and Alidu Osman Tuunteya. the biggest thanks go to the vendors for taking the time and energy to provide additional insight.